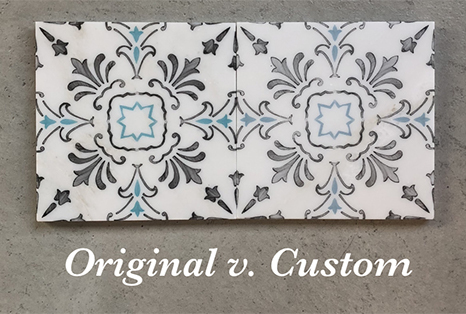 In our last blog post, we talked all about our made-to-order process that lets you customize your tile without any added costs or lead time. 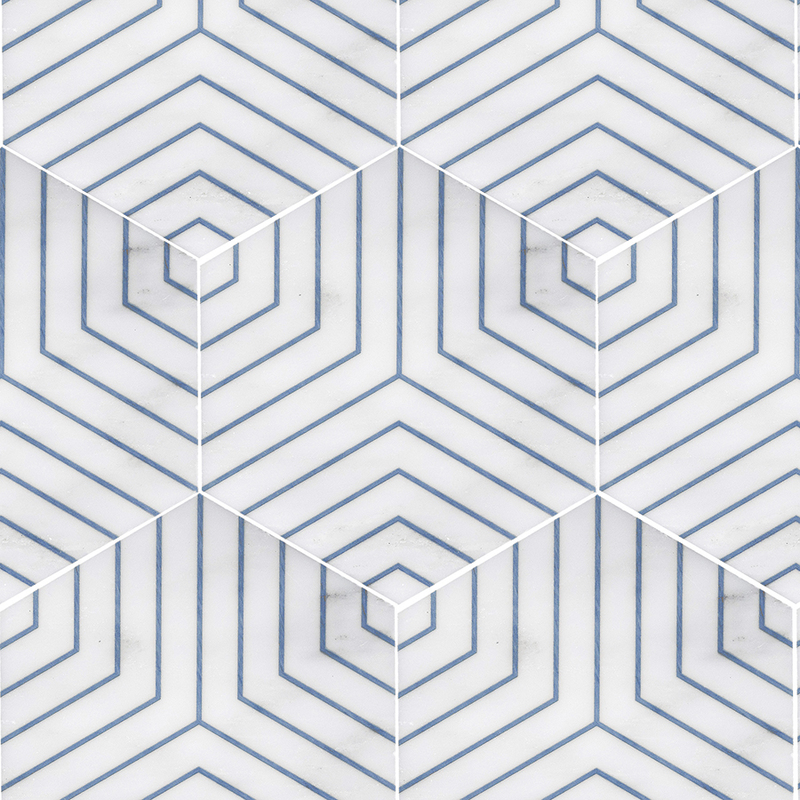 Today, we are going talk about the more extensive ways that we can customize tile for your home. While the possibilities are basically endless when it comes to customizing, we will go over the 5 most common requests we get. 1. 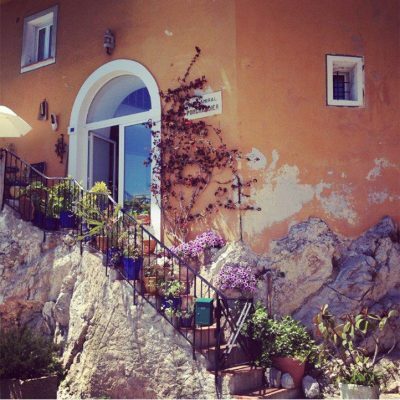 Color Matching: Color is a big deal when it comes to designing a space and it will make or break a room. 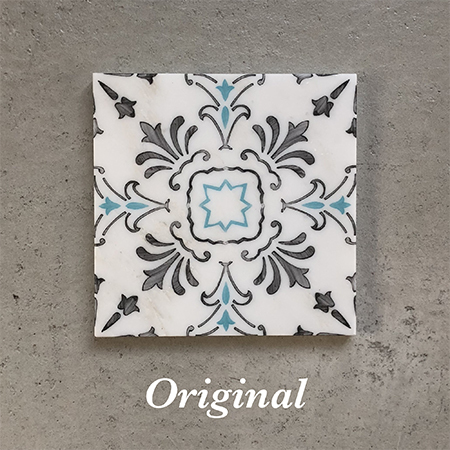 Even though our collections offer many different colorways, we understand that sometimes the color you want isn't always available. Fortunately, there are many ways we can create custom colors. 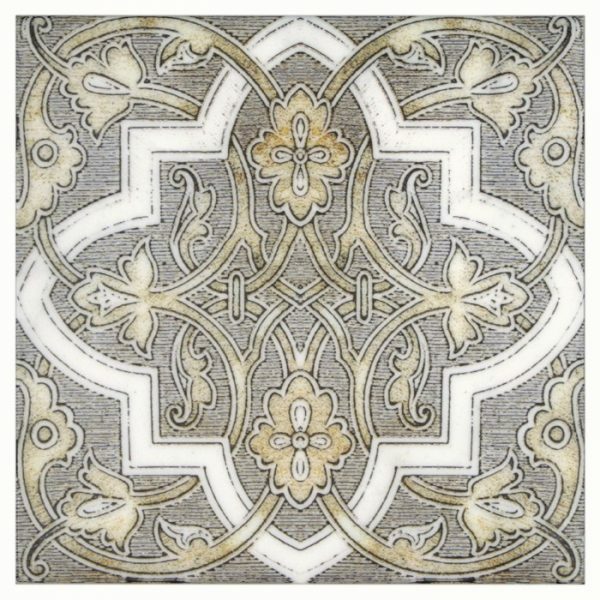 We can either match a color swatch or replicate a color from a piece of carpet, tapestry, or cabinet to name a few. 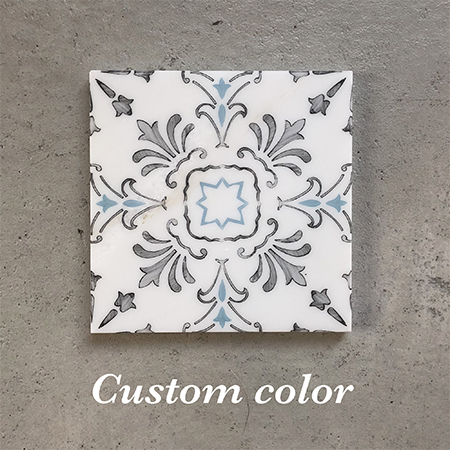 If you see a color you love that's only available from a specific collection, we can easily apply those colors to the design you want. 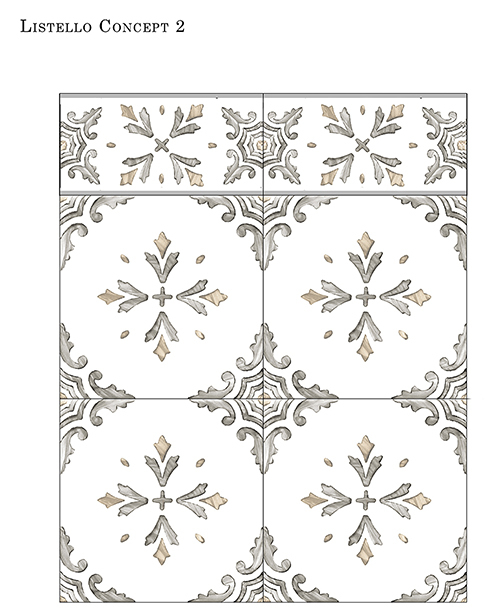 Custom color is also available for our murals, if you want to lighten or soften a color you see, our designers are able to do that. 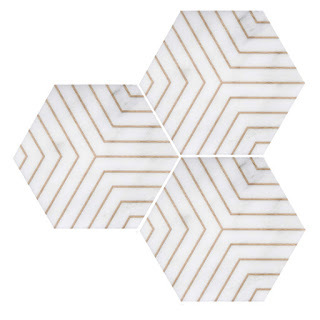 We recently collaborated with a blogger and interior designer who wanted to cover her master bath with the hexagon tile pictured above but was envisioning a different color than the gold. After speaking with one of our designers and explaining to him what she envisioned, he sent her over a few proofs to look at and approve (shown below). 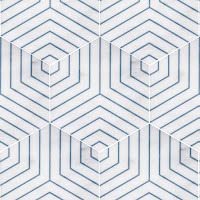 Below is an example of how we can take a color from one of our patterns and apply them to another pattern. 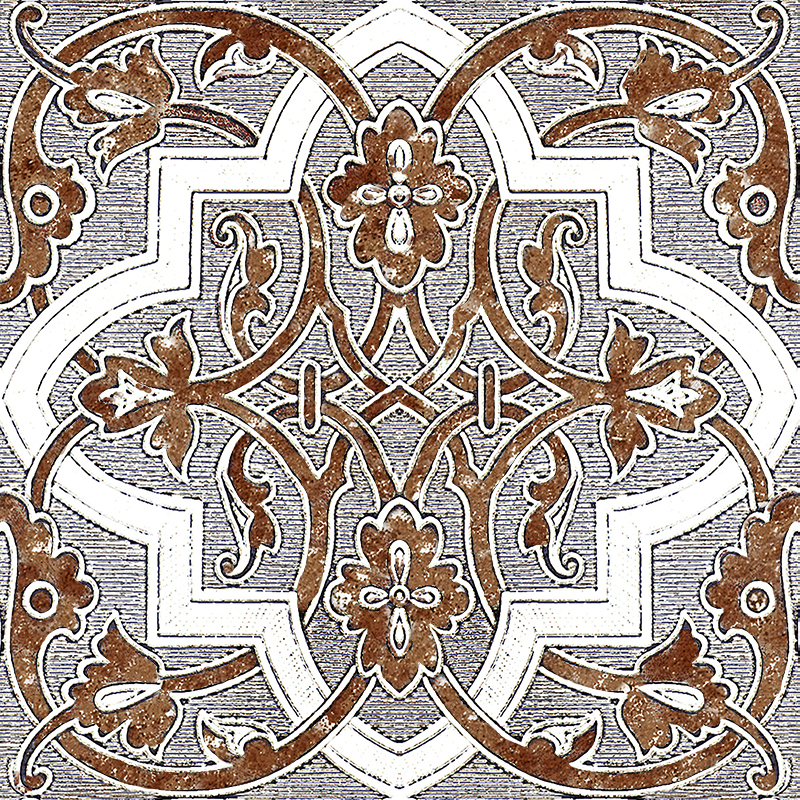 A client wanted to use the Burnt Siena colorway from our Altalena pattern and apply it to our Isabella pattern. The result was stunning. 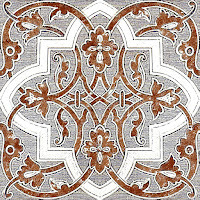 Another thing we get asked is if we can customize a pattern from our in-stock collection, Artisan Stone Tile. We absolutely can, that order simply becomes a StoneImpressions' order. 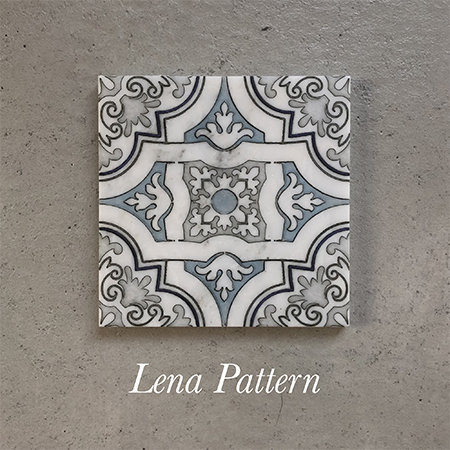 Below is an example of how one client requested the blues and grays from the Lena Pattern be applied to the Dana Point Pattern. 2. 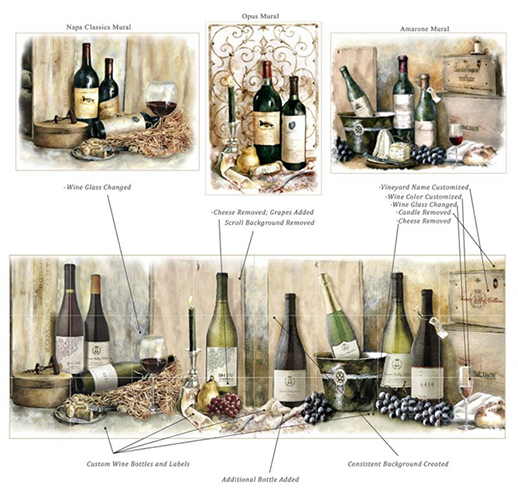 Personalization: Something we love to do for our clients is personalize a mural or accent piece. For example, we offer a wide variety of wine murals that are available to be personalized with wedding dates and family names. 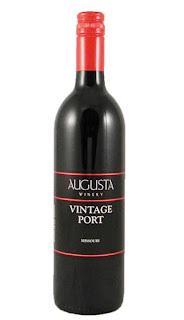 A common custom request we get is to either change the date on a wine bottle to reflect a special anniversary or switch out the name of a bottle of wine with the last name. 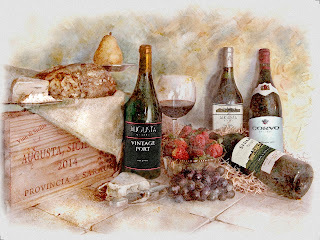 Can you spot the custom wine bottle in the French Delight Mural? 3. Customer Supplied Images and Materials: Do you have a photograph from a vacation or an old poster that you absolutely love? 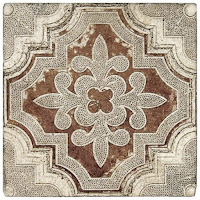 We have the ability to print these images onto stone for you so that it can remain in your home forever. 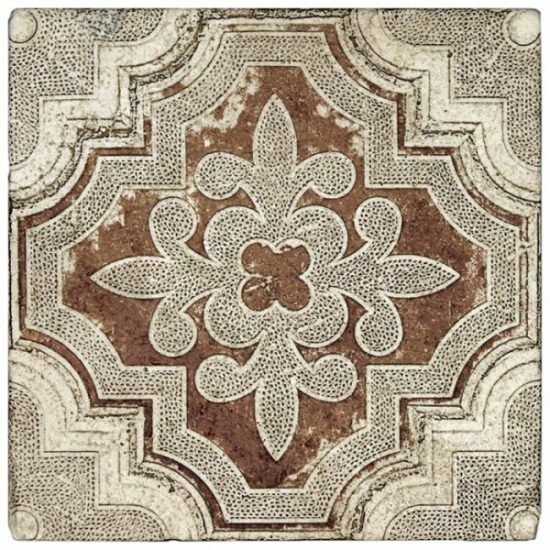 We are able to use high-resolution photographs, posters, and other materials such as ribbon to create a custom tile for you. Below is a video showing you how we took a quick sketch of a feather and printed that drawing onto stone! Below is a photograph a client took on vacation and turned into a mural for their kitchen. We also have the ability to make the final design look "aged" or "painted"
4. 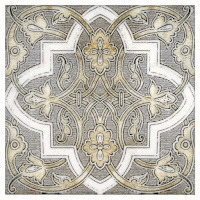 Create a Custom Accent Piece or Listello: Our very creative and talented designers love coming up with new designs for you. 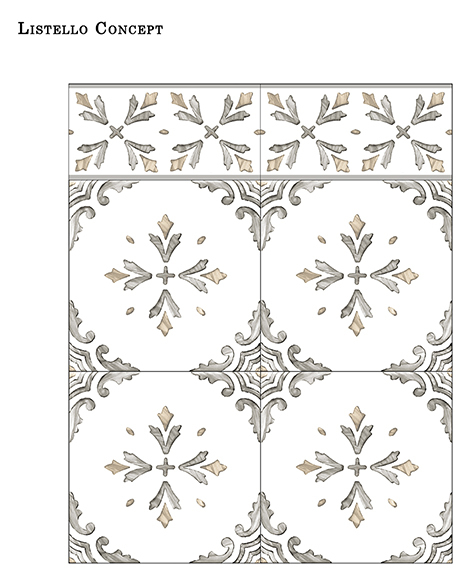 Sometimes a client will see a pattern they love and will want to create a corresponding subway tile or accent piece using aspects of that design. 5. 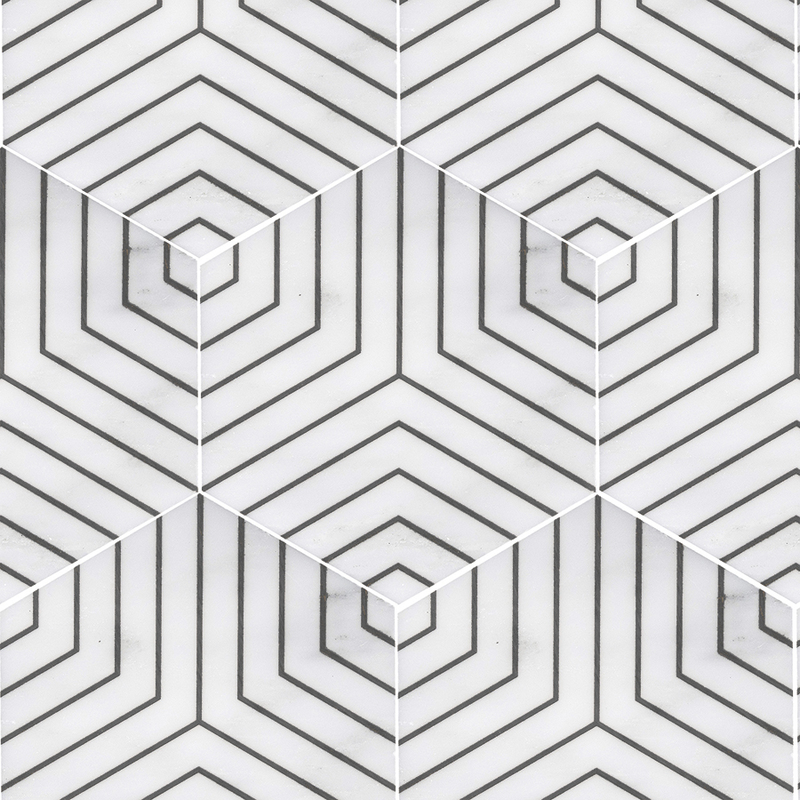 Create a One-of-a-Kind Pattern: We also have the ability to add, remove, or reorganize any element of a design to create a completely new one. 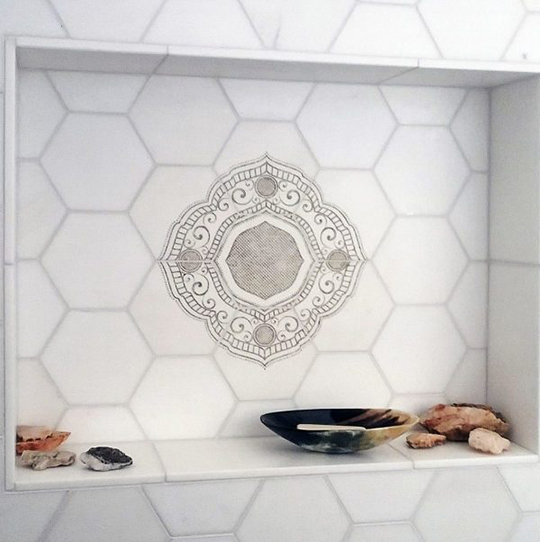 Here is an example of how a client reorganized the individual design from our Alston Lola Hexagon Tile and created one complete center design. 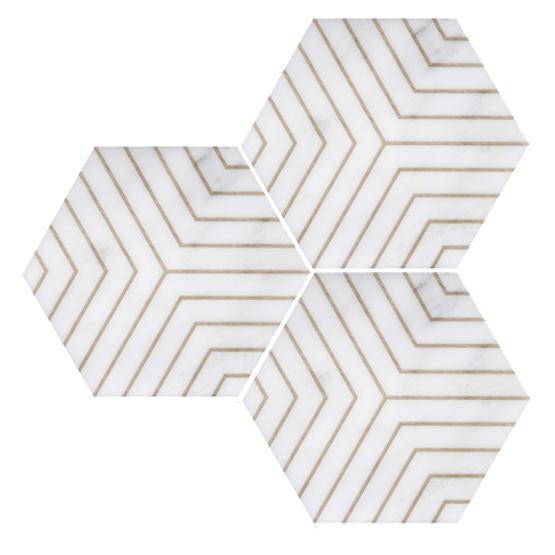 While our customizing capabilities are almost endless, we showed you the most common design requests we receive from clients. For any questions on our custom process, please give us a call! 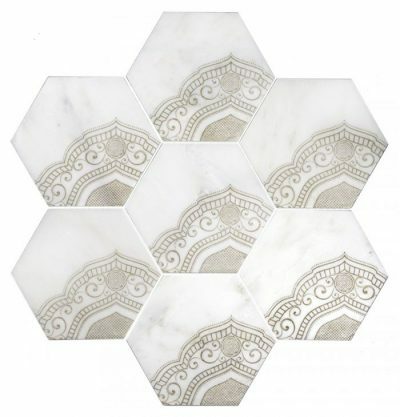 Our graphic designers will work with you to create your dream space! Our Second Video Blog is Here!